BMW has launched the M2 Cometition in India at ₹79.90Lakh Ex showroom. The BMW M2 Competition will be available as CBU units imported from Germany. 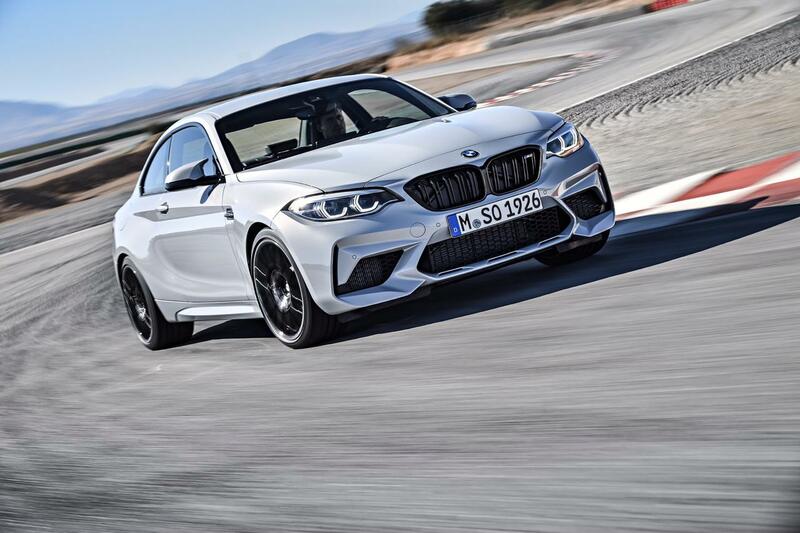 The BMW M2 Competition is a 2 door sports sedan. On the outside the M2 comes with the trademark BMW Kiddney grill in high gloss with M2 badging, enlarged air inlets, adaptive headlights. The sides get M gills, M wing mirrors while the rear gets the M spoiler and the sport exhaust system with four tailpipes in Black Chrome. On the inside the BMW M2 Competition comes loaded with driver focused cabin styling. Door sil comes with M badging, The M2 comes with M Sport seatsas option with illuminated M2 badge and standard M Seat belts The BMW Individual headliner in Anthracite with interior trim finishers in black high-gloss with highlight trim finisher Pearl Chrome complete this expressive and prestigious ensemble. The new instrument cluster in black panel design sports M style dials, red needles and a M2 Competition welcome staging in white illumination. The multifunction M leather steering wheel is also optimised for peak performance. The driver can also use the M Drive M1 and M2 buttons to select the desired settings whilst driving. A new red start / stop button underlines the motorsport character of the car. 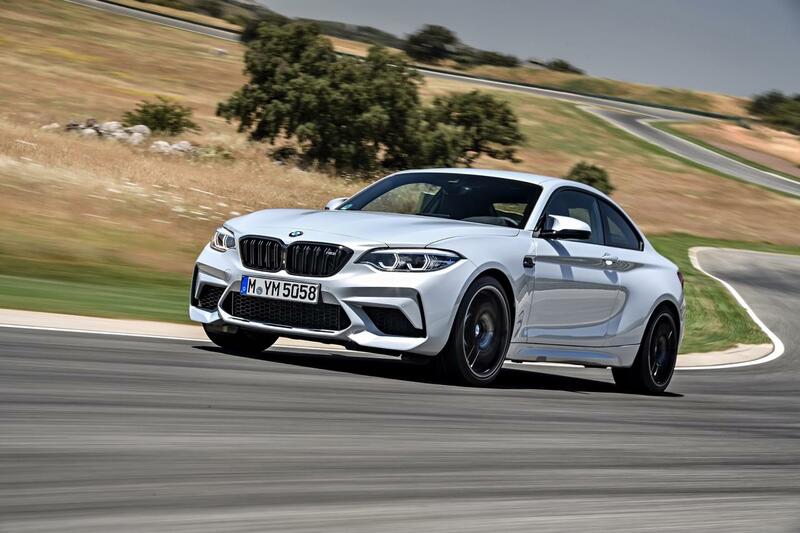 The BMW M2 Competition is powered by the M TwinPower Turbo 3.0L 6-cylinder in-line petrol engine that delivers 410 hp at 6,250 rpm and peak torque of 550 Nm. The boost in performance pushes the all-new BMW M2 Competition from 0 to 100 km/hr in just 4.2 seconds with a top speed of 250 km/hr. The 7-speed Dual Clutch automatic M Transmission is mated to this engine. 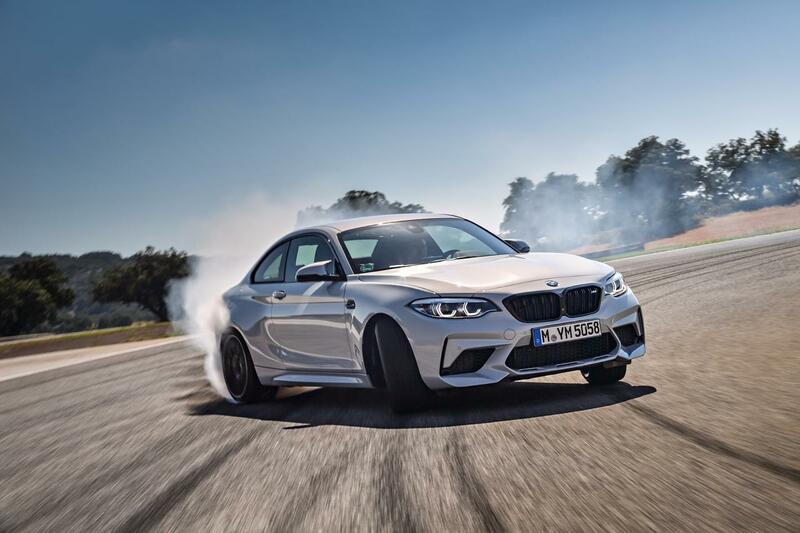 The all-new BMW M2 Competition comes with a package of intelligent safety features including 8 air bags, Active M Differential, Dynamic Stability Control (DSC) including M Dynamic mode and Anti-lock Braking System (ABS). 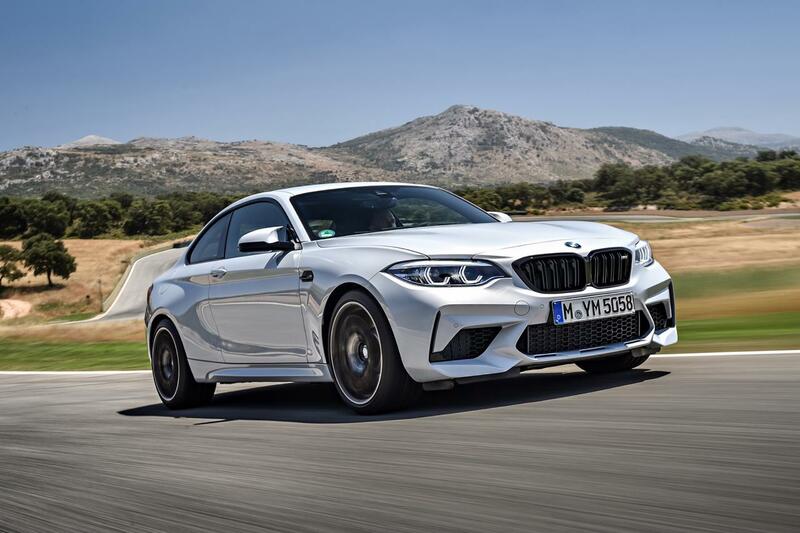 Also included on the BMW M2 feature list are the entertainment and service features such as iDrive controller, Radio BMW Professional, 7 loud speakers with 205 Watts HiFi loudspeaker system, a 16.5 cms colour display with AM/FM Radio, Connectivity through Bluetooth and USB connectivity. Park Distance Control (PDC) rear and front along with rear view camera come as standard. The optional features include the next generation BMW iDrive (the on-board Driver Information System) with touch controller, BMW Navigation Professional (integrated Global Positioning System – GPS) with 22.3 cm colour display and 3D maps, 12 loud speakers with 360 Watts HiFi loudspeaker system from Harman Kardon, BMW Apps and Apple Car Play. The BMW M2 Competition is available in Alpine White (non-metallic), Sunset Orange, Hockenheim Silver, Long Beach Blue and Black Sapphire paint options. On the interiors buyers can choose from Leather Dakota Black/contrast stitching Blue | Black and Leather Dakota Black/contrast stitching Orange | Black.